What about you, what would you like to talk about? And for 2017, I started using images from sci-fi books, but from this point forward I will just use a random image from a mod to reduce the time it takes to make the post. Your task, should you wish to accept it, is to guess the mod. It may or MAY NOT have been released yet – DUN DUN DUH! Gah, you should’ve probably kept going with the Sci-Fi books but it’s understandable from your point of view. Actually it would be Hunt the C*nt but Phillip hates swearing. It’s not that I hate swearing, it’s just that the website is family friendly and I try hard to keep that true. I would say, the image come from HTC? Yeah, mod image is HTC. Shame about the name, because in all other respects it’s a brilliant map pack! I know where my February went, was sick for the majority of the month so yeah, not a pleasant month. HTC great mod but the name .-. My favorite part is when you turn off the power in the storages. “OMG, it’s March already, where did February go?” – yes, where did it go indeed? Been assigned in Osaka District and partly Kyoto District to work on a case we were on, before I knew it the month was already over. But now I’m back home in Tokyo District! As for March nothing planned in particular. Well a busy Feb. for me but March is looking good. I will finish a map (deathmatch, sorry) for the TWHL Reimagine Half-Life contest. Been using JACK and I have to say I doubt I’ll go back to Hammer for my mapping. In what ways is JACK better than Hammer? In every way. Seriously. If you map, give it a shot and see if you like it, the interface is just like Hammer’s. Had not much free time in february; fulltime work, some extra activities but I managed to make a trip to Berlin with my car in the last days of february. Didn’t do much in Hammer, except wrapping up my entry for DefendVille Two earlier. March will be busy too in real-life I assume. I might learn myself some stuff in Hammer so I can implement some new elements in my next Ville quickly. The year is indeed flying by… March is a big month for birthday’s and other outgoings, so I’m strapped for cash. Luckily, I have money in my Steam wallet from Christmas. Released my first map in a while. Deathmatch map for the TWHL competition though, so don’t get too excited… unless you like HLDM of course. It’s in the roster on the SnCGames HLDM server. Ghost Recon Wildlands is finally out. Picked it up on Steam with the remainder of my wallet funds and an additional £18 on my card, no big deal. Game seems pretty fun and I imagine it will be the source of a few more coop SnCGames YouTube vids. Mass Effect Andromeda comes out at the end of the month. I love huge, open RPGs that allow for player freedom, meaningful choices and customisation. ME:A looks to have each of these in spades… I may go quiet for a while when this drops on the 23rd. The last week of March is my week off and my daughter turns two on the 31st. Two!… Where the Hell has that time gone I ask you. Otherwise, yeah. Working, gaming and being a dad. I was really looking forward to Mass Effect Andromeda. And then I heard it won’t be available through Steam. Made me die a little inside. I either have to register with another online distributor (which I really don’t want to do), or don’t buy it (which I really, really don’t want to do). Sadly, I’ve already had to cave in that regard. Tom Clancy’s Rainbow Six Siege and Ghost Recon: Wildlands require me to use UPlay, Mass Effect 3 and Battlefield call for Origin and to top it off I need to use Battle.net for Overwatch! GARGH! Yeah spring is rising, better weather is coming…time to do some reallife things. I am supposed to work in my small garden to prepare it for our late spring over summer to early autum barbecue parties. And of course, there a a lot of HL² mods to be released and I will play all of them. Have fun and a nice march! When Phillip played “Night at the Office” last week in the RTSL stream, I got motivated to do a remod of it, can’t believe it actually took me the same week to finish it. The other sunday, I got remotivated to restart the Night at the Office remod, thanks to the RTSL stream Phillip did. Last Sunday, I finally did finish it. I had actually hasten myself to get it done within the week, as today would mark the start of the new college semester (in which I will no longer have peace until this semester ends and I got another 2-3 month free time), so I really was glad to actually see it done in time. Planning on replaying S.T.A.L.K.E.R. – Call of Pripyat for a while, the free time I got the last couple of months were used to play a lot of old games (MoHAA, System Shock 2 fan missions, Thief, Doom mods, and a couple of ECWolf mods), and now with college burying me in projects and lectures, figured why not play something to match the suffering I got. 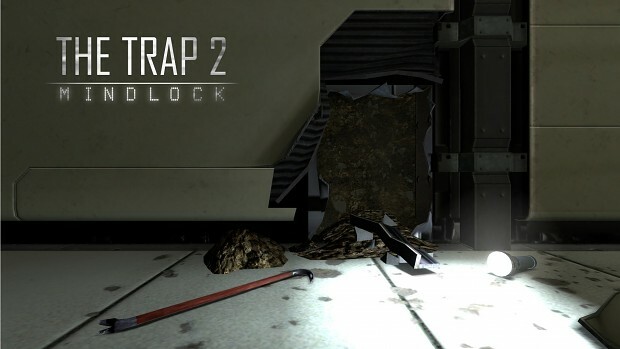 Hey, for all fans of The Trap here on RTSL, the sequel (The Trap 2, duh) is now on Steam Greenlight. Please vote if you’re interested! Sorry if this has already been asked, but were there plans for any non-hammer cup challenges this year? yes, all details are on the Hammer Cup 2017 page. There will also be a Black Mesa Ville at some point.